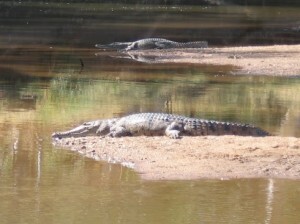 Fishing beside a couple of freshwater croc’s in the Margret River Western Australia. Didn’t catch any fish that day. 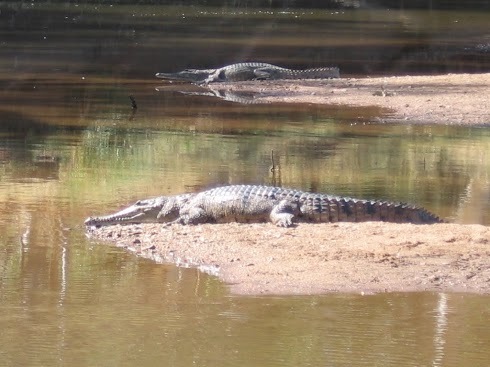 that were taking a bit of interest while we were trying to catch a fish at Margret River in the top end of WA. Needless to say , didn’t get any fish that day. While we are in Western Australia , these are Cherabin, they are a freshwater prawn and can grow as big as your forearm. 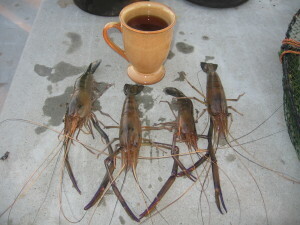 We caught these in the Little Panton River on an over night stop. 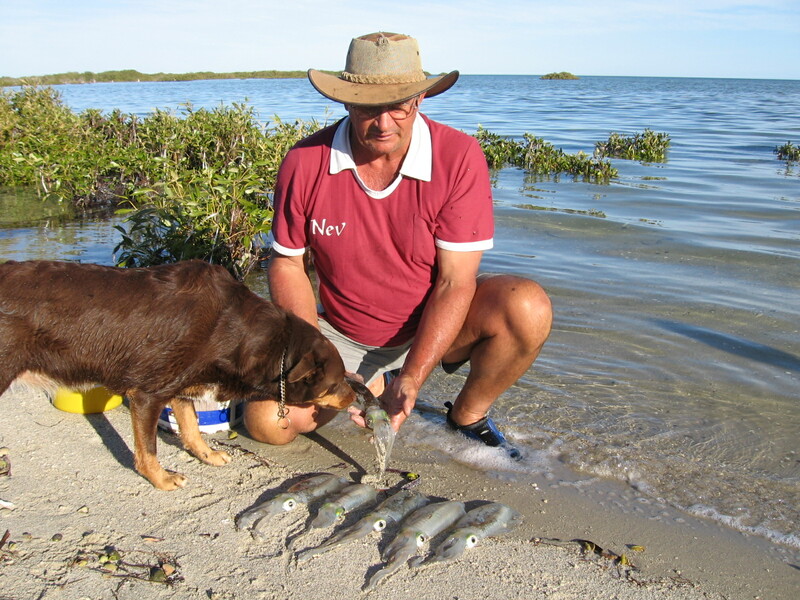 These Squid were caught off the creek bank at New Beach. Caught by casting lures into the creek at high tide. We have never caught squid this way in Queensland and it was quite a differant way to score a feed of calamari. 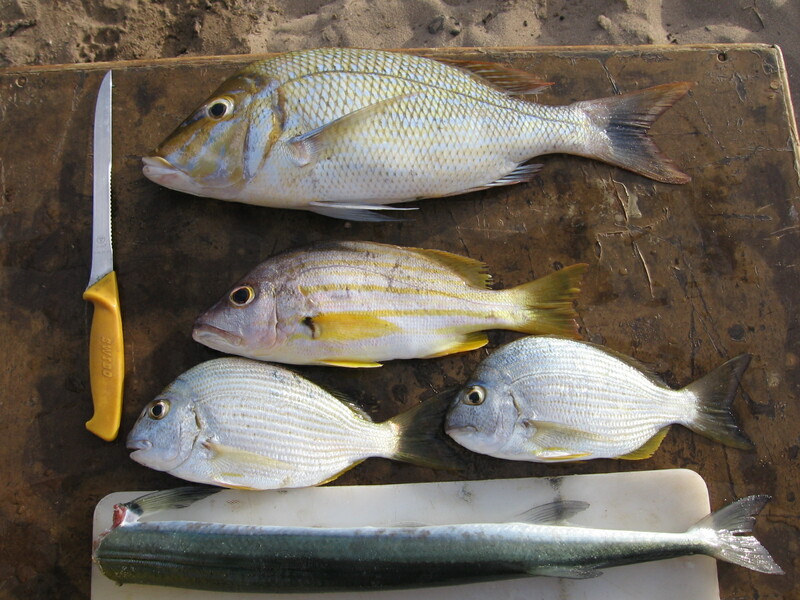 A good thing about WA is there is so much coast line and in many places you can cast a line from the beach into a bit reef and come up with a feed of reef fish. These guys were caught for breakfast at Quobba. This is a top spot but it is very popular and it can be hard to find a camp site.